Tim Minchin · Dahl Day Delights – More Matilda Magic! 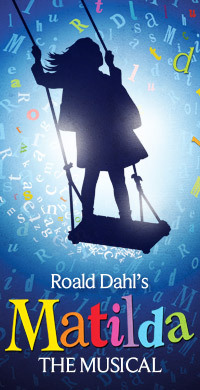 Dahl Day Delights – More Matilda Magic! Happy Roald Dahl Day, to you! To celebrate what would have been the great author’s 95th birthday, we’ve got, not one, not two but THREE pieces of exciting Matilda news! First off, today marks the release of the official cast recording on CD! The album was recorded with the original cast from the Stratford-upon-Avon run and will feature seventeen wonderful songs, as penned by our Tim, including ‘When I Grow Up’, ‘Revolting Children’ and ‘The Smell of Rebellion’. It will be available initially exclusively from the RSC and Matilda websites, who will ship internationally, with an iTunes release occurring on the 18th October to coincide with the musical’s first preview night at the Cambridge Theatre. Secondly, the full Matilda The Musical website will be launched today, featuring more clips from the cast recording, in case you’re still unsure about buying yourself a copy, as well as being the one-stop shop for all the latest news and ticket buying information! And finally, the news we promised a while ago – we can now reveal the four young actresses who will be playing the eponymous Matilda! Those names, in no particular order, are: Eleanor Worthington Cox, Cleo Demetriou, Kerry Ingram and Sophia Kiely. Eleanor Worthington Cox has previously been seen in Joseph and his Technicolour Dreamcoat in Liverpool and Cleo Demetriou has been seen in the West End’s The Sound of Music and Les Miserables. Kerry Ingram’s name you might already recognise, seeing as she played Matilda during the show’s initial Stratford run, while Sophia Kiely will be taking on her first ever professional role! The four Matildas: (l-r) Eleanor, Cleo, Kerry and Sophia. Previous cast announcements for the adults and Matilda’s schoolfriends can be found here and here and tickets for the show’s initial booking period at the Cambridge Theatre, from the 18th October 2011 to 12th February 2012, are on sale now from the Matilda The Musical website. Hey tim, greetings from Bogotá – Colombia, you’re absolutely amazing! so so so funny! you’re great keep rocking! If you ever travel to Colombia just let me now it would be great to have you here, take care, bye. Where will We Be able to Buy the C.D From If You Don’t Want to Down Load It.